The tax law appears to be getting more popular, which is a good sign for Republicans’ electoral chances in 2018. While the law is improving in overall popularity, Americans’ enthusiasm for the law’s changes to their personal finance remains muted. Just 33% of people think they will receive an income tax cut, 14% think they will receive a salary increase, and 8% said they will receive a bonus or increased bonus, according to the survey. The law moving above water in the poll is part of a trend showing Americans coming around on it. 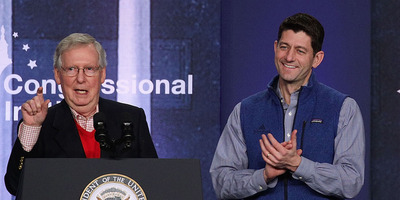 Polls from Monmouth University, Gallup, and others over the past two months showed a steady increase in support for the law, as Republicans have touted its effects – including companies’ announcements of new bonuses and pay raises for workers partly due to the tax cuts. Republicans are banking on the tax cuts being a key issue in the 2018 midterm elections. Given that the tax law was the least popular piece of major tax legislation since at least 1980 when it was passed, the improvement likely buoys the party’s electoral hopes.